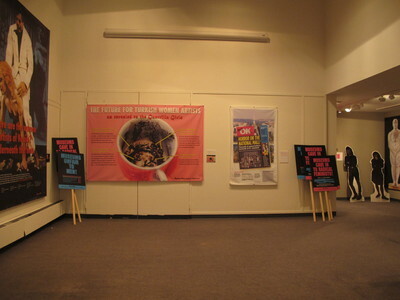 "Guerrilla Girls OK! Horror on the National Mall banner"
OK! Horror on the National Mall banner from the Not Ready to Make Nice: Guerrilla Girls in the Artworld and Beyond exhibition at the Thomas J. Walsh Art Gallery, September 4 - November 14, 2014. © Guerrilla Girls, all rights reserved. Please contact the Bellarmine Museum of Art for any permission requests.